Are you looking for the FIFA 17 soundtrack ? You may find it here. All the Official FIFA 17 songs in a single place. 🇬🇧 Bastille | Send Them Off! 🇬🇧 Spring King | Who Are You? FIFA has traditionally been gaming’s foremost international showcase for new artists of every genre and with FIFA 17, EA have once again created a soundtrack that will enable millions of fans worldwide to discover new music they might have never heard otherwise. FIFA 17 soundtrack represents globalized music as its very best. FIFA has been credited with various stars on a global scale and now commands such status that featuring on the playlist is a highly sought-after spot for up-and-coming bands. For many players of the game now, EA Trax is effectively their Spotify – the playlist of songs they will hear more than most others for the coming year. With a spot on the EA Trax listing so prized, the process of putting together each year’s playlist is a strenuous one. Share in the comments your thoughts about the FIFA 17 soundtrack. The journey have a different kind of music, especially in cinematics.., where I can find it? We’re also incredibly excited about FIFA 17’s The Journey, a cinematic world informed and influenced by real players, personalities, locations, and events that lets you live your story on and off the pitch as the Premier League’s next rising star Alex Hunter . It features music by Atticus Ross , best known for his work with Trent Reznor both as co producer of Nine Inch Nails and co composer on films including the Oscar winning score for The Social Network. Where how can I buy Hobo Rocket by Barns Courtney? It’s not even on Spotify. A few songs of this soundtrack are unreleased. You will be able to find them soon. Chris was so accurate. He actually knew and did not guess. Also Rodrigo, singer Skott is from Sweden (not Colombia). Has the Kasabian song been officially confirmed? It’s kind of a big deal because Comeback Kid is supposedly one of the songs on their upcoming album, and I haven’t seen it mentioned anywhere else. Exactly. It is an unreleased song. It was confirmed to us by two different sources but none of them official. EA Sports has in recent years put onto the FIFA soundtrack tracks that have not previously officially released. For example FIFA 14 had Jamie N Common track ´Marathonthat saw official release at the end of 2015 also The Colourist ´Little Games (St. Lucia Remix)´, Wretch 32 - ´24 Hour´ (still unreleased as is Wretch 32 song ´Blur´from FIFA 13): FIFA 15 had previously unreleased tracks like FMLYBND ´Come Alive´, AviciiThe Night´, Saint Raymond ´Wild Heart´, A-Trak ´Push´, Madeon ´Imperium´; FIFA 16 had 5 or 6 such tracks (Raury, Borns, Aurora, Zibra, Bastille, Tiggs Da Author) and Bastille ´Hangin` is still unreleased (most likely will be available with the new album). So no surprise if there will be in FIFA 17 4-5 (or even more) such tracks. It just shows how well connected are guys from EA Sports with music business and more artists see this as valuable marketing option. 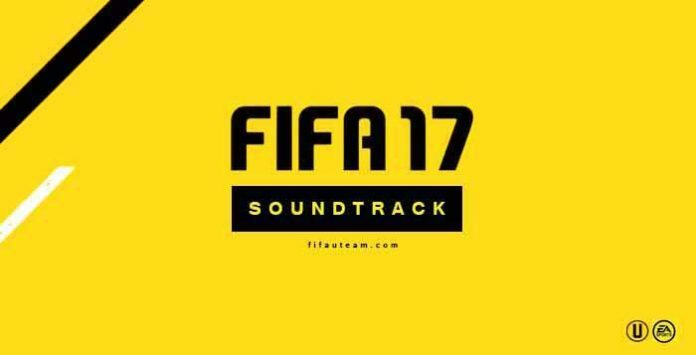 We can confirm that there are more unreleased songs in the FIFA 17 soundtrack that we haven’t published here yet. Who were they? Beta testers? And usually all the soundtrack is in the demo isn’t it? Beta testers and other more official sources. Usually almost all Beta & Demo songs are in the game but they are incomplete since the final list has around 50 songs. Rodrigo, as much as I know Emilio Sansolini is graphic designer. Does he have song now? Sorry about that. Already fixed. Thank you. Desculpa mas é a soundtrack oficial ou é wishlist ?? Hi Rodrigo, ‘Tearing Me Up (RAC Mix)’ by Bob Moses is also in the game. can i suggest some tracks? You can suggest for FIFA 18. FIFA 17 soundtrack is finished. ‘Love Songs’ by Lola Coca is also in the game. True. Thank you. Already added to the list. There is no Major Lazor song in the game,no Zedd,no Damien,no DJ Snake, Human by Rag’n’Bone Man has been cut from the soundtrack….very sad it was a great song. Zedd is 100% in. He even has a kit in the game. Let me explain: the trax list of the beta is incomplete. I don’t have access to it but it has probably 20-25 songs. The final soundtrack has 40-45. That’s why you can’t find him. Can you please check if there is any song in the trax list that it isn’t in our list? Thank you. That’s all i can remember. Some other tracks are in different languages. I remember one was in Russian and the other was a spanish song featuring John Legend. Sorry for asking but how legit is this? Is there any way i can talk with you except this comment section? I don’t know who is your source but there is something weird with it. Major Lazer, Zedd and Damien are officially confirmed by Electronic Arts. They have their own customised kit in the game. That’s a wishlist or songs that wil feature in the final soundtrack? Let’s see if you are right about, as least, one of these tracks. who and this wil ? the suggestions are they heard? or who chooses not ta tracks or there? There is a small team in EA to pick every single song of EA games. They heard suggestions but most of them are not used in the final soundtrack. That’s a wishlist or something you know about the final soundtrack? how do I suggest music for fifa 18 ?? In a few weeks we will create a FIFA 18 whishlist post that we will be sent to EA. You can use the comments of that page to suggest musics. Dont forget to Insert the Indonesian Song,Like Isyana Sarasvati…and other Indonesian Song….